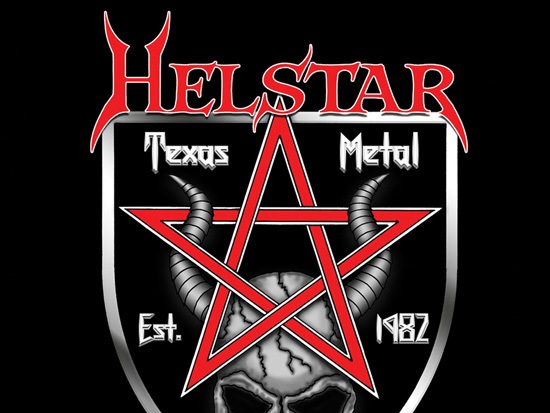 Helstar began with a basic metal style in 1983 with 2 demos, followed by their first studio album in 1984 titled Burning Star for Combat Records, making them label mates with Megadeth and Exodus. Struggles within the band and management issues broke apart the band line-up. After a year they reformed and released the Remnants of War album, also on Combat, produced by Randy Burns. In 1987 they moved to Los Angeles with another line up change, with guitarist Rob Trevino departing, and it is believed that the song “Abandon Ship”, from the 1988 A Distant Thunder album, was dedicated to his departure. Along with guitarist Andre’ Corbin, Frank Ferreira was an addition to drums. They signed with Metal Blade Records and recorded the A Distant Thunder album produced by Bill Metoyer. 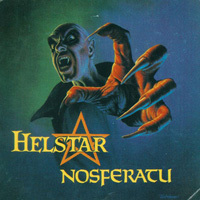 After the departure of Andre’ Corbin and Frank Ferreira, Helstar regrouped again and recorded a demo but gained no interest from the labels. Shortly after, Larry Barragan left the band to pursue other interests. In 1989 the band released Nosferatu, which many fans consider their greatest album. It was based on the early Dracula film and contained spoken sound bites from the movie. 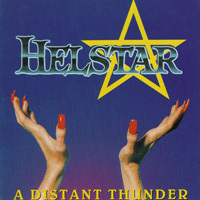 Between 1990 and 1993 Helstar released a few demos that failed to receive great recognition. In 1995 Helstar released a new studio album entitled Multiples of Black, but did not achieve the quality from earlier albums and fans consider it their worst release. 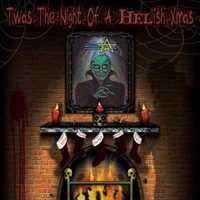 The members of Helstar namely James Rivera cooperated in other bands between 1993 and 2002, Seven Witches for a short time in 1993, Distant Thunder in 1995 and Destiny’s End. This was a super group put together by James Riviera that released two studio albums, Breathe Deep the Dark in 1998 and Transition in 2002. Helstar went through several reunions starting in 2001. These reunions were primarily organized by James Rivera and longtime bassist Jerry Abarca. Several live albums came out of this period, but the band was unable to produce any new material. 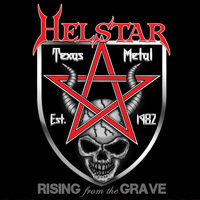 In 2006, for the first time in over 15 years, James Rivera and Larry Barragan reunited and Helstar were officially declared musically active again. Along with Abarca, Rivera and Barragan, also reunited with the Remnants of War album were guitarist Robert Trevino and Eternity Black drummer Russell De’leon. This lineup has since released Sins of the Past, “a greatest hits collection” of re-recorded songs. A new album has been released with the Remnants of War line-up in 2008 titled The King of Hell.